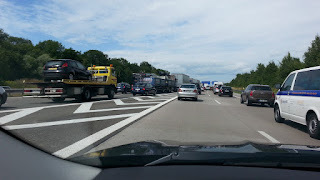 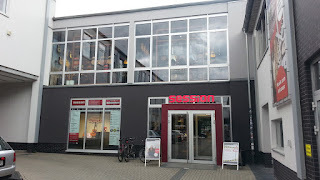 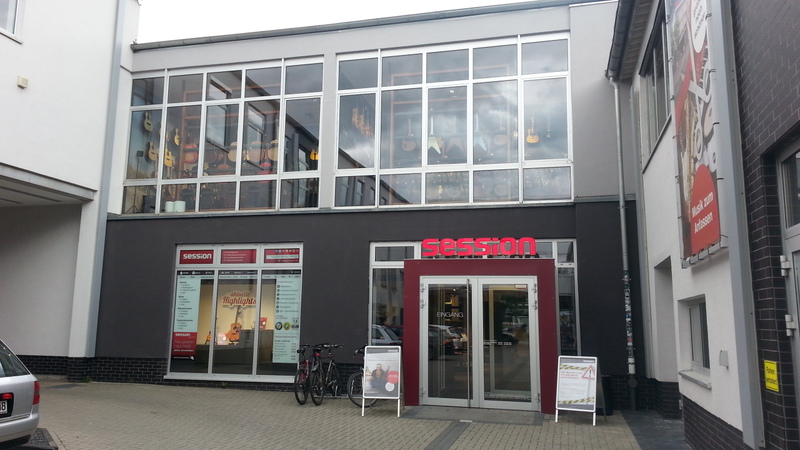 I was heading to Session Music, Frankfurt where is about 20min car drive distance from Frankfurt Airport. 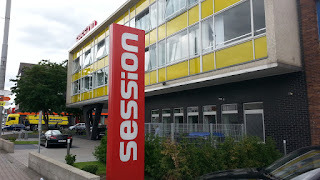 Here we are - Session Music, Frankfurt. 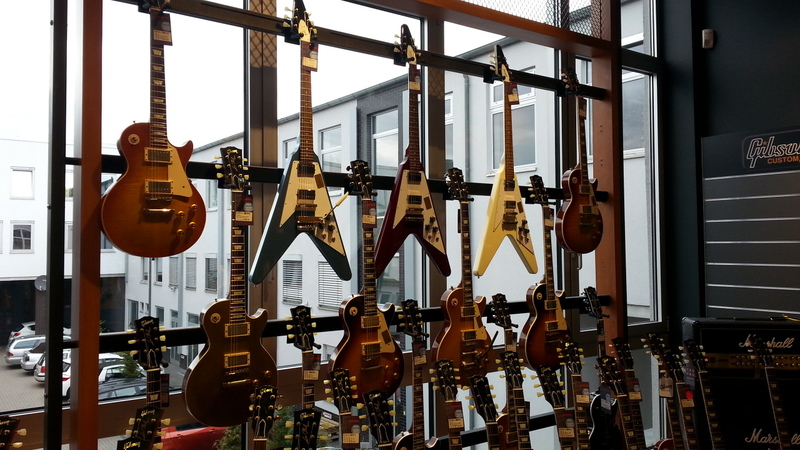 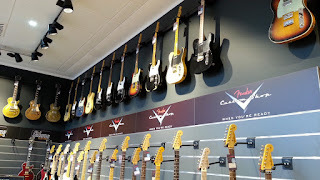 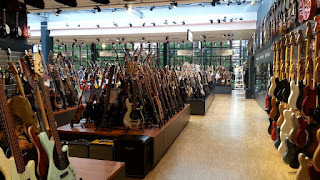 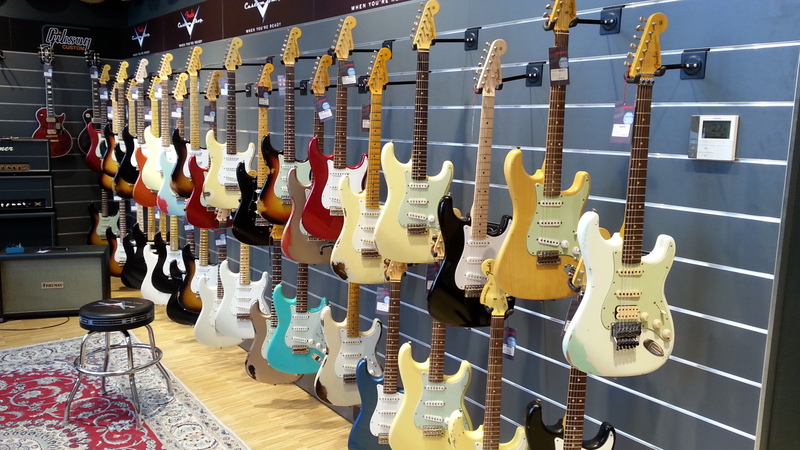 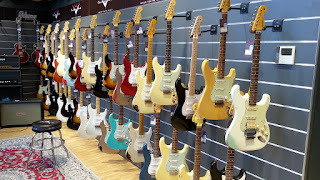 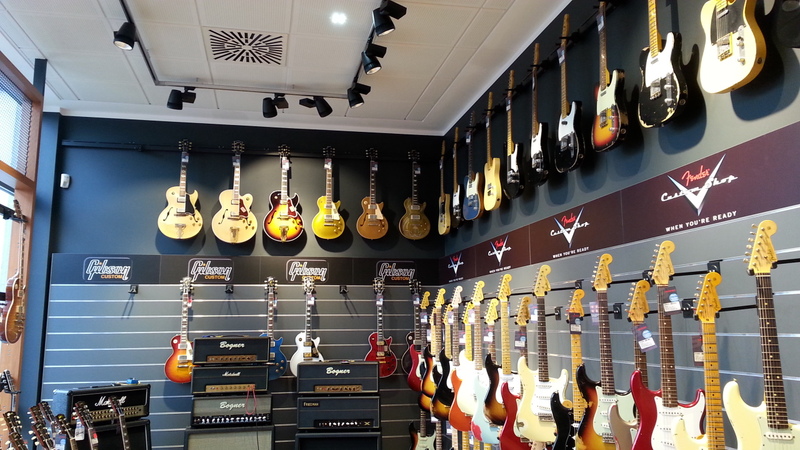 Guitars and basses are mainly displayed at 2nd floor. 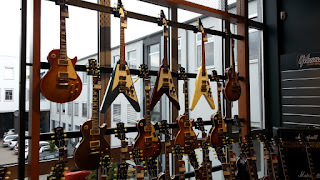 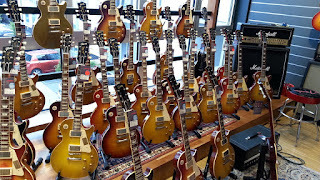 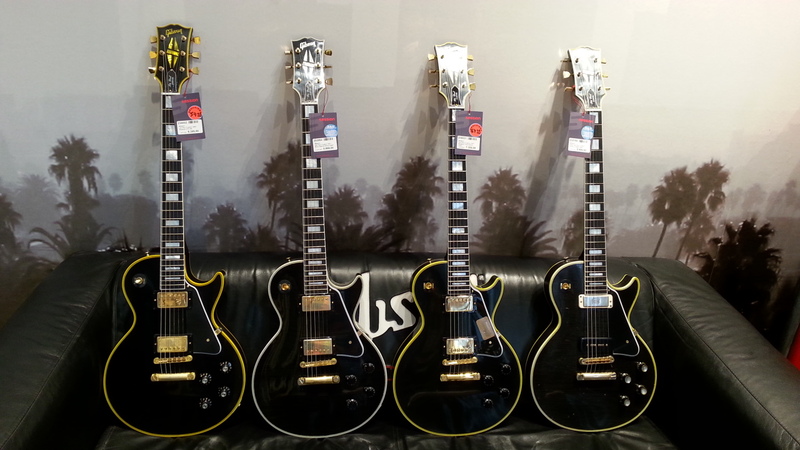 High-end guitars are displayed in their "Custom Shop Room"
Gibson Les Paul Custom !!! 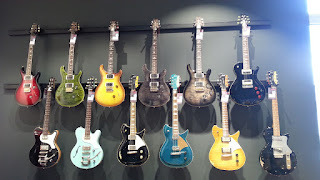 I was trying to pick one up .... trust me, that was hard choice. 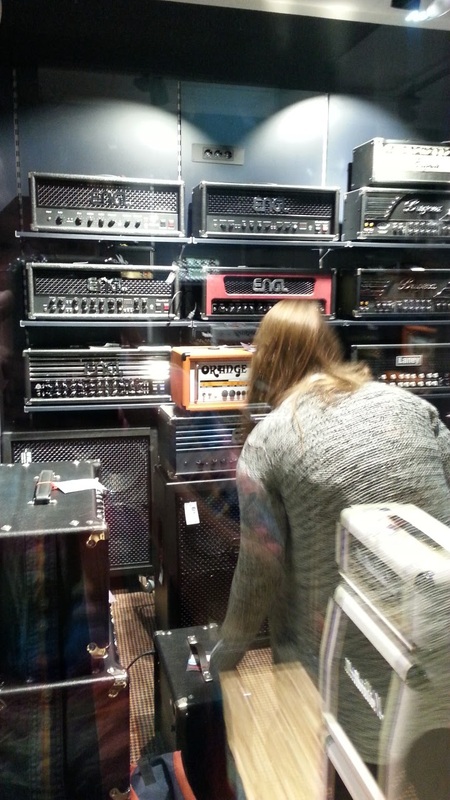 Test Room 3 - Mesa/Boogie, ENGL, Diezel, Peavey, Laney, Laboga, Hughes and Kettner and etc. 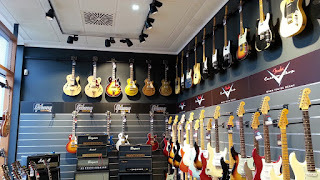 You are welcome to test any guitar or amp that you want. 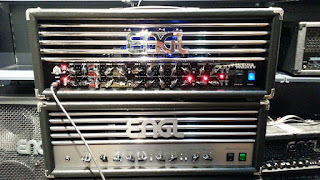 One of my favourite amps - ENGL !!! 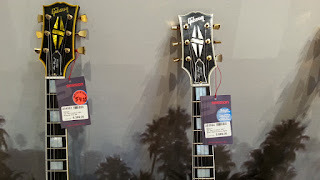 Test Room 4 - Marshall and Blackstar. I was nearly able to bring back ENGL Invader II (30th Anniversary, black face with certificate). As a former Invader owner, I would say that I love Invader II much better. 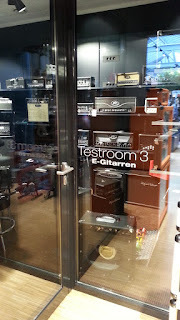 The Ch.3 of Invader II doesn't sound like old one at all which was way too mid-scooped. Ch.4 of Invader II is not only great for lead but even thrash metal rhythm as well. 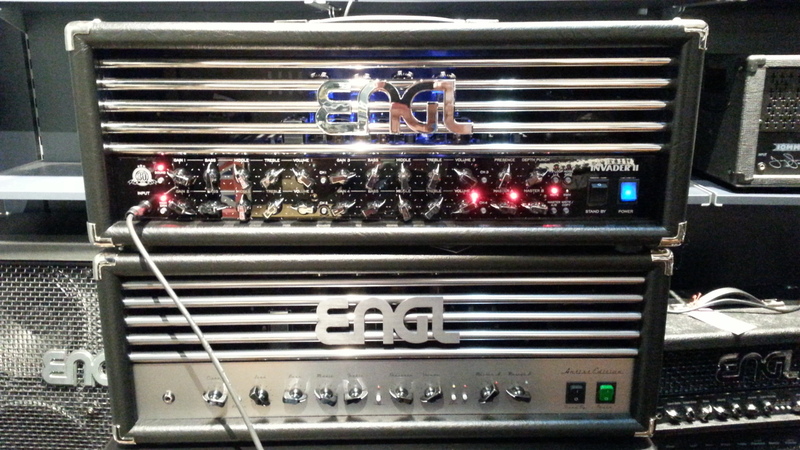 Invader II (E642/2) reminds me the tone of Lead I and Lead II channel from Special Edition (E670). 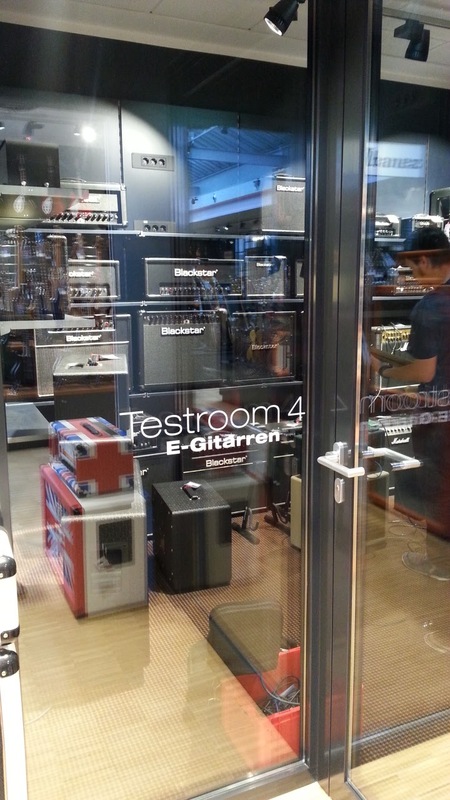 but it has slightly saturated tone and wider gain range than E650.